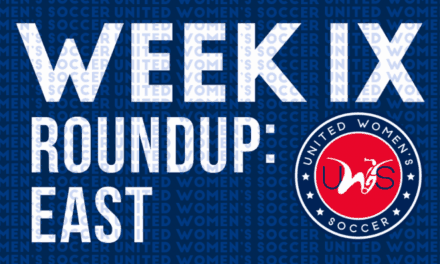 Action in the East Conference of United Women’s Soccer will kick off in a major way this weekend with six games on the slate and three teams playing two games in two days. 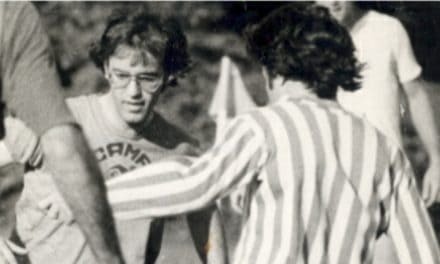 If May was about warming up their respective engines, the commencement of the June schedule will accelerate the UWS East member teams into the fast lane. Lancaster, New England and Long Island will have their roster depth tested as all three teams face a two-game weekend while defending East champion New Jersey looks to rebound from a loss in Week II play. 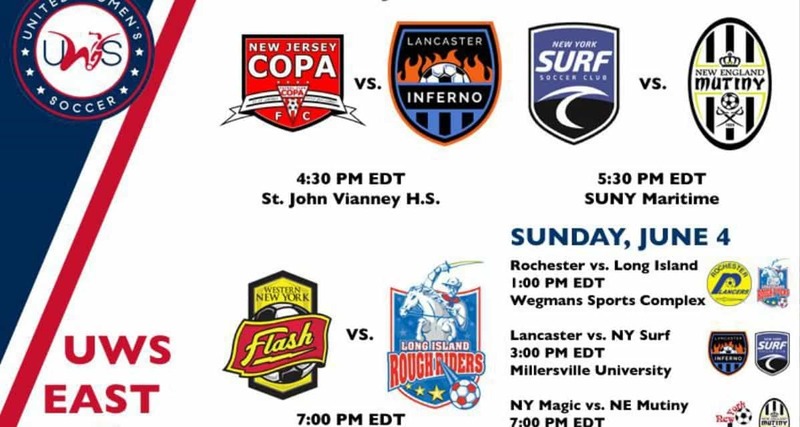 Its been a two-week layoff for New Jersey Copa FC (1-1 East) and they will be looking to reverse the result from their last match, a 3-0 loss at Long Island on Saturday, May 20th. It was the second straight season that Copa lost to the Rough Riders, but in 2016 that would be the only regular season loss NJCFC would suffer. A repeat performance of that similar conference mark in 2017 for the defending conference champions will start this Saturday afternoon as the Lancaster Inferno (1-1 East) come to town. Last year, the New Jersey offense bossed the Lancaster side, winning both matches and out-scoring them by a 7-1 advantage. But the Inferno offense has been hot so far, with forward Haley Crawford making the most recent edition of the UWS Team of the Week after her four-goal performance against the New York Magic last weekend. Crawford has accounted for five of the six goals that Lancaster has scored this season. Speaking of offense, Copa should have the services of 2016 UWS Player of the Year Krystyna Freda this Saturday, who has had to wait to suit up due to international clearance. The New England Mutiny (2-0 East) are in first-place in the conference, but they have two teams lurking right behind them. The New York Surf (1-0-1 East) is one of those teams and have begun their first season at the pro-am level in rock solid fashion. 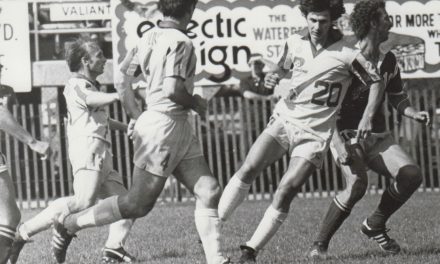 Getting a win and draw against such a storied franchise as the Western New York Flash would be any organization’s dream start. And now after a two-week layoff for both teams, the Surf will battle it out with another long-standing successful side in the Mutiny for top spot in the UWS East. New York’s defense has been a strength of the team in their first two games – with thanks to experienced players like Amy Marron – and they will have to deal with a dangerous trio of New England players: forwards Kate Howarth and Abby Sotomayor and midfielder Riley Houle. Sotomayor (four) and Houle (two) are 1-2 in assists in the league while Howarth (four) and Houle (two) are among the league leaders in goals scored. Both Howarth and Houle have NWSL experience as well since both played for the Boston Breakers. The Western New York Flash (0-1-2 East) is back in action after a two-week layoff and will be looking for its first UWS win, but it will be a tough proposition as the Rough Riders (1-0-1 East) have put together a strong start to the Summer 2017 season. In their last match on Saturday, May 20th, Western New York hosted the New York Surf in the rubber match of their season series. The Flash is up against the wall via a 2-0 second-half deficit to the Surf, but goals from forwards Carissima Cutrona and Maddie Pezzino forced a tense conclusion and a 2-2 draw between both sides. Western New York and Long Island also battled it out to a draw in their first meeting of this campaign, a 1-1 verdict at Saint Anthony’s High School on opening weekend. The Rough Riders opened the scoring in the 31st minute via Marist College forward Hope Quinonez but the Flash dealt the hosts a dagger in the heart with a late goal from defender Kaelyn Gamel. But Long Island bounced back in Week II action, as forward Morgan Santoro had a goal in each half in a strong 3-0 win over defending conference champions New Jersey. Santoro and midfielder Taylor Elliott would be named to the UWS Team of the Week for their efforts. After a rough start to their UWS campaign on opening weekend when the Lady Lancers (0-2-1 East) were dominated by two top teams in the East Conference, they at least had something to smile about after a 1-1 draw at home against the New York Magic in Week II action. Although they had a chance to win the match in second-half injury time, a positive result did much to embolden Rochester as they face their fourth different East opponent this Sunday afternoon. While the Rough Riders pose a tough test on a normal occasion, the Lady Lancers are at home and their visitors are playing their second match in as many days, so that may help sway the outcome in the home side’s favor. Lancaster and New York will have their roster depth tested this Sunday afternoon since both teams will be dealing with the second of back-to-back weekend fixtures. The advantage for the Inferno is that they are hosting the Surf in their 2017 home opener. But in 2016, Lancaster could only manage a 2-3 record at home. Sunday’s match at Pucillo Field will give Head Coach Francisco Cleaves and his team the chance to turn that record around in 2017. After two tough matches against the East elite on Saturday, the team who scores first on Sunday could very well come away with the victory. The New York Magic (0-1-1 East) started 2017 in solid fashion as they got a 1-1 draw in Week II action at Rochester. In the 36th minute, the Magic evened the score at 1-1 when defender Reny Viviana Roncancio Farfan converted on a corner kick by forward Mami Yamaguchi. Goalkeeper Sierra Bonham spoiled the Lady Lancers party when she denied forward Taylor Wingerden on her late penalty kick. But last week in their home opener, New York went up 1-0 on an early goal from forward Eboni Birch but were humbled the rest of the way, as Lancaster scored four unanswered goals in their victory. New England will be playing their second match in two days, but do have the slight advantage of a few hours more rest as opposed to their other conference colleagues.